Dental anxiety is now something that can be considered a thing of the past. If the idea of having a dental procedure makes your heart race and your palms sweat, you may be like the 30-40 million Americans who suffer from a dental phobia. 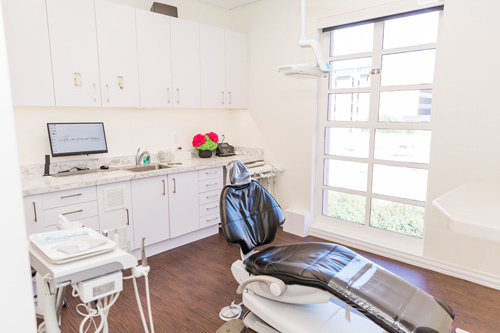 At The Art of Dental Wellness, Kerri M. Hill, DDS, offers a variety of sedation dentistry services for patients in and around Beverly Hills, California, as well as nationwide and worldwide. With over 17 years of experience and a compassion for patient comfort, Dr. Hill has performed over 3000 IV conscious sedation cases. It reduces anxiety, while providing the treatment and care you need in a safe and healthy way. To learn more or to schedule your initial consultation, call or go online today. Sedation dentistry uses various medications to assist patients with dental anxiety. Medications are used to help you relax (a sedative) and to prevent pain (an anesthetic) during a dental procedure. You will feel drowsy and relaxed. Dr. Hill will monitor you throughout the procedure as well as stay with you at all times. You will still be breathing on your own, but you may receive extra oxygen through a mask. Medications can be given orally or via (IV) intravenous fluids through a catheter (tube). You may fall asleep, and respond to people in the room to verbal cues. After conscious sedation, you may feel drowsy and not remember much about your procedure. Conscious sedation allows patients to have dental procedures done safetly and comfortably. Are there different types of sedation dentistry? * Intravenous (IV) sedation — You’re at the edge of consciousness, very relaxed, can respond to verbal cues, but won’t remember the procedure. * General anaesthesia — This is a deeper form of anesthesia. We have a dental anesthesiologist who comes to the office and provides this specialized service. If you opt for sedation dentistry, remember to bring a friend or family member with you to your procedure, as you will need someone to drive you home. Is sedation dentistry for everyone? While sedation dentistry provides benefits for many people, it’s not right for everyone. Depending on your medical history, Dr. Hill may not recommend sedation. Some chronic conditions make sedation too risky or you may take medications that interfere with the sedative’s effectiveness. What dental procedures can occur under sedation? All dental procedures can be performed with dental sedation. We encourage our patient’s comfort level to be highest priority. While dental sedation offers a solution for dental anxiety, it can help other patients too. When you have a strong gag reflex, TMJ, or struggle to stay still, sedation dentistry makes certain procedures easier. It’s also an option for lengthy dental treatments, such as dental implants, or when you want to have a lot of dental work done at once for a full-mouth restoration. It also allows for medications to prevent infection and swelling to be placed in an IV to further any post- operative comfort during healing and recovery. If you think sedation can help you get the dental work you need, call or go online today to book your initial consultation with Dr. Hill. ©2019Kerri M. Hill DDS | All RIghts Reserved.